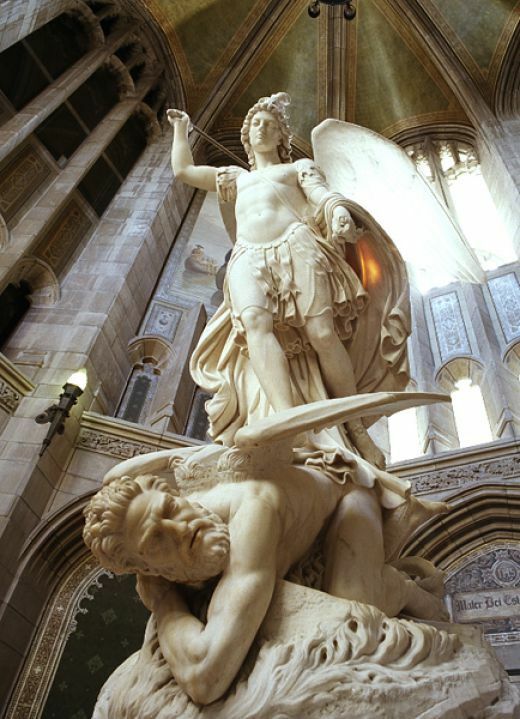 Theodicy | ADULT CATECHESIS & CHRISTIAN RELIGIOUS LITERACY IN THE ROMAN CATHOLIC TRADITION: hosting ONLY True Christians!! !, or "How to think Catholic!!" “In a famous scene of a famous play, a semi-conscious Lady Macbeth wanders around the stage and feverishly rubs her hands together in an attempt to clean blood from them, blood which only she can see. Out of pride and lust for power, she had ascended to the throne by plotting the King of Scotland’s murder. Despite the success of her plan, the weight of sin and guilt drew her into madness. Thus, we see her struggling with the blood: “All the perfumes of Arabia will not sweeten this little hand,” “Out, damned spot! Out, I say!” And yet the spot of blood remains. Nothing she does can clean them. Her husband, Macbeth, once remarked to her, “For mine own good, all causes shall give way, I am in blood stepp’d in so far that, should I wade no more, returning were as tedious as go o’er.” He thought that killing a few more people would consolidate his power, but more bloodshed brought no peace. Such is the way of evil. Evil makes seemingly simple promises, but in return it always demands more and more. It never delivers. 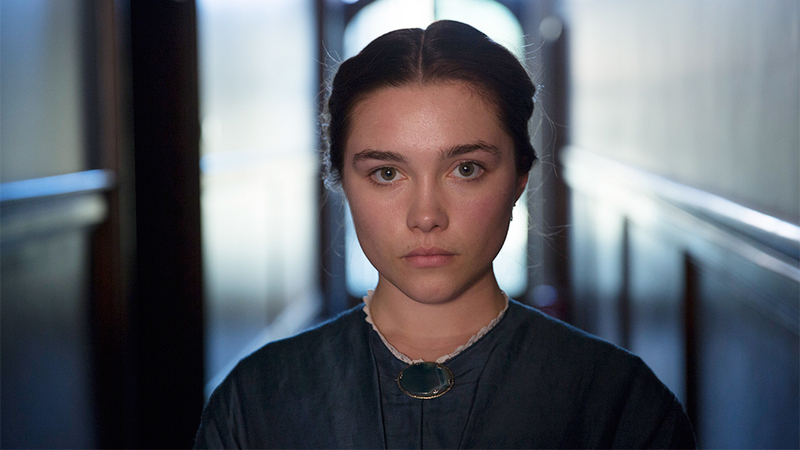 Evil brought Lady Macbeth to despair. She is trapped by her deeds, and she has no hope. The blood that she had expected to give her a glorious crown gave her ruin, and she knows no redemption. Her hands are stained, seemingly forever. Little does she know that there is, in fact, a blood capable of cleansing her hands. The saints, we are told, “have washed their robes and made them white in the blood of the Lamb” (Rev 7:14). They themselves sinned, but “they are justified by his grace as a gift, through the redemption which is in Christ Jesus, whom God put forward as an expiation by his blood, to be received by faith” (Rom 3:24-25). God is a father who welcomes his prodigal children with fanfare and open arms. He is willing to forgive because He desires the children He created to be restored to their proper place: with Him. God does not accept irredeemable situations. He wants to forgive, and God’s forgiveness can be scandalous to us because He desires to forgive even the worst sins, sins for which no one else can make satisfaction. He only asks contrition of the heart, confession to one of his priests, and penance. We moderns look askance at such a dialectic. However, my experience has shown me life is exactly this, every day, ever moment, every instant. I wish I had more soothing news, a way out, a loophole. Rather, there is no nuance. No dissembling. Straight up. It has. It is. Woe to them that accept it not. Woe to them. 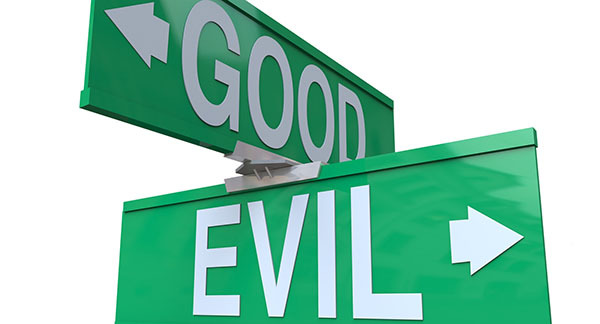 Evil is NOT an equal to good. It is the absence of good. Good is a reality. Evil is a vacuum of reality. 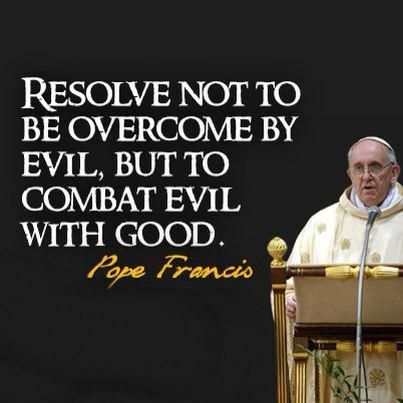 Hence, evil can never truly overcome good. It can tempt towards despair, but it has no power other than what we acquiesce to. Good is. Evil is not. God allows evil to exist as part of His passive will, that which He allows, only as a means of bringing good out of evil because He is God, and He alone can do this, and does and will. It is good to start something, but it is better to finish it (see Eccl 7:8). To endure to the end, our ultimate end, means to die well, to die with our loving trust in God. Blessed are those who die in the Lord, because they will be saved, because they will live in perfect happiness with God in the communion of saints. The very essence of a good life is a good death, because a good death leads to eternal life. This doesn’t mean that our actions now, before our deaths, are meaningless or unimportant. In fact, the only way to endure to the end is to belong firmly to God in grace, a belonging established throughout our lives. In a way, all the many actions throughout our lives together make up only one choice. We are offered the possibility in grace of belonging to God forever, of knowing Him, loving Him, and finding perfect fulfillment in Him. We can choose to accept this possibility, to love God. Or, we can choose to reject God, to hate Him. We make this choice through the course of our whole life, a choice which is completed and finalized in our choice at death, a choice which has consequences beyond our death. The angels were offered the same choice in the moment of their creation. Some chose God, and some chose their own pride. But because they are spiritual, and not bodily, because they have a higher perfection of being than us, they made this choice in a single act and in a single moment. We are bodily persons, not angelic persons. We make our choice not in a single act, but through the whole course of our lives. That choice, to either accept His gift of grace and to love Him, or to reject Him and hate Him, is cemented at our death. Before that ultimate moment there is always the possibility of conversion, and likewise the possibility of falling away. The direction in which we turn is shaped by each and every one of our actions. Our lives are, in a way, an anticipation and preparation for our deaths, and for what lies beyond our deaths. But we are not alone in this preparation. God gives us His grace, purchased by the blood of Christ, and communicated to us in the indwelling of the Holy Spirit. 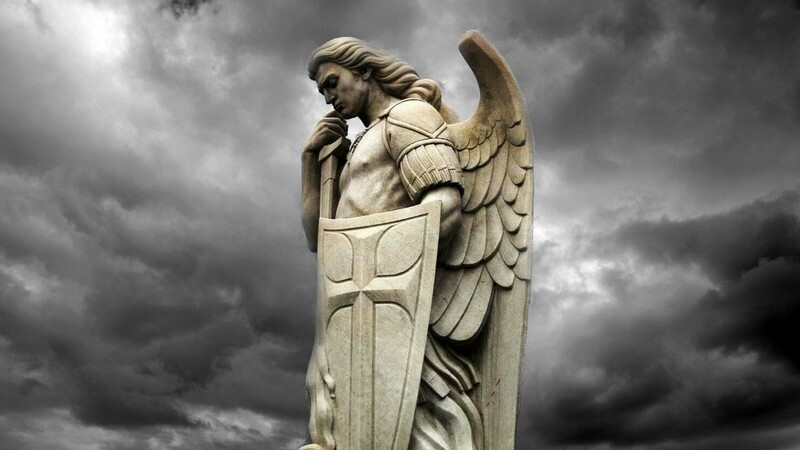 The saints and angels stand by our side, interceding. Mary, our mother, is our foremost intercessor, as we petition her in the Hail Mary to pray for us sinners, now and at the hour of our death. 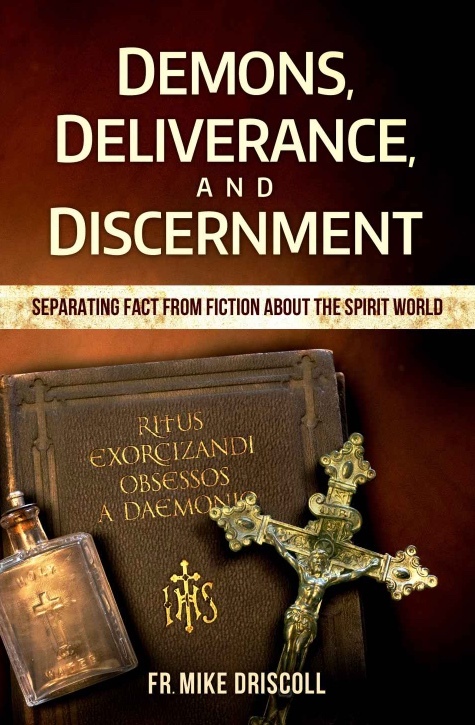 Exorcists are in general agreement as to how a person becomes possessed by demons. As one exorcist says, “The darkness is there, waiting to receive an invitation. Exorcists identify three categories of activities and experiences that open a person to demonic possession. We can think of these categories as doors for demonic attacks: they invite demons in, but they do not always result in possession. In fact, as we shall see, full-fledged demonic possession may be extremely rare—depending upon whose opinion we accept. The first category is referred to as patterns of sin. This does not mean simply being a sinner, since all of us are sinners. Rather, this refers to people who have a habit of serious sin that they like, are attached to, and have no desire or intention of stopping. There is a conscious decision to give one’s self over to the sin. Demons can see this as an invitation to their activity. The second category of influences that invite demons into one’s life is the occult. Occult practices include Satanism, the use of tarot cards and the Ouija board, and consulting psychics and mediums. This also includes necromancy, the attempt to consult with spirits of the dead for the sake of learning hidden knowledge or future events. Being a victim of trauma or abuse is a third category of experience that can open the door to demonic possession. The trauma may be witnessing a murder, suicide, or horrific accident; the abuse may be sexual, physical, or psychological. Who trusts in you, my God. Let him/her find in You, Lord, a fortified tower. Let the enemy have no power over him/her. And the son of iniquity be powerless to harm him/her. Lord, send him/her aid from your holy place. And watch over him/her from Sion. …I adjure you, ancient serpent, by the judge of the living and the dead, by your Creator, by the Creator of the whole universe, by Him Who has the power to consign you to hell, to depart forthwith in fear, along with your savage minions, from this servant of God, N., who seeks refuge in the fold of the Church. I adjure you again, + (on the brow) not by my weakness but by the might of the Holy Spirit, to depart from this servant of God, N. , whom almighty God has made in His image. Yield, therefore, yield not to my own person but to the minister of Christ. For it is the power of Christ that compels you, Who brought you low by His cross. Tremble before that mighty arm that broke asunder the dark prison walls and led souls forth to light. May the trembling that afflicts this human frame, + (on the breast) the fear that afflicts this image + (on the brow) of God, descend on you. Make no resistance nor delay in departing from this man, for it has pleased Christ to dwell in man. Do not think of despising my command because you know me to be a great sinner. It is God + Himself who commands you; the majestic Christ + Who commands you. God the Father + commands you; God the Son + commands you; God the Holy + Spirit commands you. The mystery of the cross commands +you. The faith of the holy apostles Peter and Paul and of all the saints commands + you. The blood of the martyrs commands + you. The continence of the confessors commands + you. The devout prayers of all holy men and women command + you. The saving mysteries of our Christian faith command + you. Depart, then, transgressor. Depart, seducer, full of lies and cunning, foe of virtue, persecutor of the innocent. Give place, abominable creature, give way, you monster, give way to Christ, in Whom you found none of your works. For He has already stripped you of your powers and laid waste your kingdom, bound you prisoner and plundered your weapons. He has cast you forth into the outer darkness, where everlasting ruin awaits you and your abettors. To what purpose do you insolently resist? To what purpose do you brazenly refuse? For you are guilty before almighty God, whose laws you have transgressed. You are guilty before His Son, our Lord Jesus Christ, Whom you presumed to tempt, Whom you dared to nail to the cross. You are guilty before the whole human race, to whom you proferred by your enticements the poisoned cup of death. …Therefore, I adjure you every unclean spirit, every spectre from hell, every satanic power, in the name of Jesus + Christ of Nazareth, Who was led into the desert after His baptism by John to vanquish you in your citadel, to cease your assaults against the creature whom He has formed from the slime of the earth for His own honor and glory; to quail before wretched man, seeing in him the image of almighty God, rather than his state of human frailty. Yield then to God, + Who by His servant, Moses, cast you and your malice, in the person of Pharaoh and his army, into the depths of the sea. Yield to God, + Who, by the singing of holy canticles on the part of David, His faithful servant, banished you from the heart of King Saul. Yield to God, + Who condemned you in the person of Judas Iscariot, the traitor. For He now flails you with His divine scourges, + He in whose sight you and your legions once cried out: “What have we to do with you, Jesus, Son of the Most High God? Have you come to torture us before the time?” Now He is driving you back into the everlasting fire, He who at the end of time will say to the wicked: “Depart from me, you accursed, into the everlasting fire which has been prepared for the devil and his angels.” For you, 0 evil one, and for your followers there will be worms that never die. An unquenchable fire stands ready for you and for your minions, you prince of accursed murderers, father of lechery, instigator of sacrileges, model of vileness, promoter of heresies, inventor of every obscenity. Ideas have consequences. They do. They are NOT harmless. Ask the victims of the Nazis or the Communists. Be careful what you wish for? Be careful what you think! Bad thinking leads directly to bad habits which lead to bad outcomes. “Habits—repeated practices—that make us focus on ourselves rather than God, or stoke undue curiosity about the occult, leave us more susceptible to temptation and other demonic attacks. Angels and human beings have immortal souls. Two faculties or powers of the immortal soul are reason and free will. Using our reason, we can think about things such as the morality of a proposed action. Using our free will, we can choose whether to do it. Faculties that we share with animals are senses and emotions. Our emotions are more varied and complex than those of animals, though there is no denying that a dog can be happy, sad, or angry. We can call reason and free will higher faculties; emotions and senses lower faculties. It is a serious mistake, though one that is common in our culture, to allow the lower faculties to govern our actions. This leads us to believe that a proposed action must be good if it is pleasurable to our senses or if it makes us feel happy. I have heard individuals justify immoral acts by saying, “God wants me to be happy.” This is true, but there are acts that will give us momentary pleasure but not long-term happiness. God wants us to live in eternal happiness, and to use reason rather than emotion and sensual pleasure to guide us there. The same is true of spirituality. It is a serious mistake to think that emotions provoked during a spiritual experience indicate its depth and value. That is why, as we have seen, the Church instructs us that healing services must avoid hysteria, theatricality, and sensationalism. I have been present at such services where, despite this directive, people are encouraged to cry, make incoherent sounds, and even fall to the ground. A better spiritual experience is one that brings a sense of peace and calm, both during and afterward. The demons were good when God created them, but they fell from grace because of the sin of pride: “You said in your heart . . . ‘I will ascend above the heights of the clouds, I will make myself like the Most High.’ But you are brought down to Sheol, to the depths of the Pit” (Isa. 14:13–14). This illustrates the importance of being spiritually humble; we resist demons by avoiding the very vice that brought them down. Sloth can refer to laziness in work and other daily obli- gations; spiritual sloth specifically refers to neglect of our obligations to God. Jesus warned us of the dangers of delaying repentance and neglecting to break our patterns of sin (Matt. 5:23–26; Luke 12:42–48). The Bible often refers to this as having a hardened heart (Eph. 4:18). Another way of saying this is: do not wait until tomorrow to make the good moral choices you can make today. Exorcists say that hardening of the heart, or wallowing in habits of sin, can open us to demonic attacks. In addition to the usual spiritual means of avoiding spiritual sloth, there is a counseling technique that can be helpful in times of temptation. Before committing the sin, we can mentally put ourselves in the future and think about how we will feel about this moment. Will I be glad I acted this way, or will I regret it? What will the consequences be for others? What will the consequences be for me next week, next month, or next year? And what will the effect be on my immortal soul? For example, if a man who struggles with drunkenness is considering having a drink, he should not dwell on the plea- sure of the drink. Rather, he should mentally put himself in the future and look at what is likely to happen as a result of this one drink. If he can delay the decision to drink—if he can think about the likelihood of getting drunk, the effects on his family and other relationships/obligations, and the damage to his soul—he may be able to excite his emotions in such a way that the drink is not so desirable. These emotions counteract the pleasurable emotions that demons try to provoke in connection with our particular weaknesses. Furthermore, by developing this thought process into a habit, by God’s grace we can break habits of sin that can be a door to demonic influence. In artwork, the devil is often portrayed as a red creature with hooves, a pointed tail, bat wings, and a cruel smirk on his face. It would be beneficial if he actually appeared that way; it would be much easier to identify him and resist his temptations! Unfortunately, his operations are more insidious. This is also true of the occult practices that have become common in our culture. There are Catholics who would never consciously set out to worship false gods, but are lured by seemingly harmless spiritual gurus and practices that contradict the Faith. These are subtle means by which the demons try to gain a foothold and lead people away from God. Playing with a Ouija board violates the first commandment, since it is an attempt to communicate with spirits in a way that excludes God. We can talk to angels, saints, and the souls in purgatory through their union with God, not through a board game. The only spirits that might respond to a Ouija board are demons and (possibly) human souls in hell, with neither of whom we should communicate. Having said that, certainly many people have played with a Ouija board as children (I confess I am one of them). Many people my age have told me they did the same, and all have said they are not aware of any spiritual problems as a result. Does this mean that no harm comes from playing with a Ouija board? Definitely not, for two reasons. First, more than half of those in my generation who grew up Catholic are no longer practicing the faith. I am not blaming the Ouija board for that, but neither can we rule out the possibility that it had a negative spiritual influence on some people. Second is a comparison: when I was growing up most people were not wearing seat belts, and I didn’t personally know anyone who was seriously injured or killed as a result of this neglect. Nevertheless, that does not mean it was a good idea or a safe practice. As with the Ouija board, people who have consulted palm readers, psychics, tarot cards, and horoscopes tell me it was just for fun, and deny suffering ill effects. Certainly they did not become possessed by the devil. But these activities, too, violate the first commandment, and they have the potential of opening doors to the demonic. As we have seen, although psychics and palm readers have no inherent ability to see the future or other hidden events, demons may use these individuals and fool their customers. Demons can put ideas in their heads, such as information about peoples’ personal lives. When they report this informa- tion, they and their customers wrongly believe the knowledge came from psychic ability, palm reading or other activity. 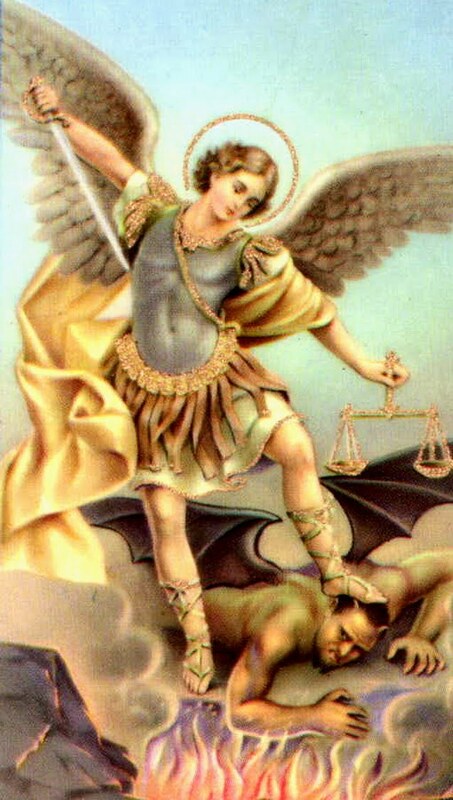 The devil would often prefer to hide his presence, and let us sin through pride (claiming extraordinary powers) and invoking false gods (such as tarot cards or the stars and planets).